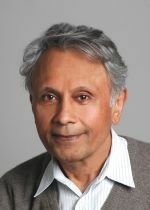 Pravin Varaiya is Nortel Networks Distinguished Professor in the Department of Electrical Engineering and Computer Sciences at the UC Berkeley. From 1975 to 1992 he was also Professor of Economics at Berkeley. From 1994 to 1997 he was Director of the California PATH program, a multi-university research program dedicated to the solution of California's transportation problems. 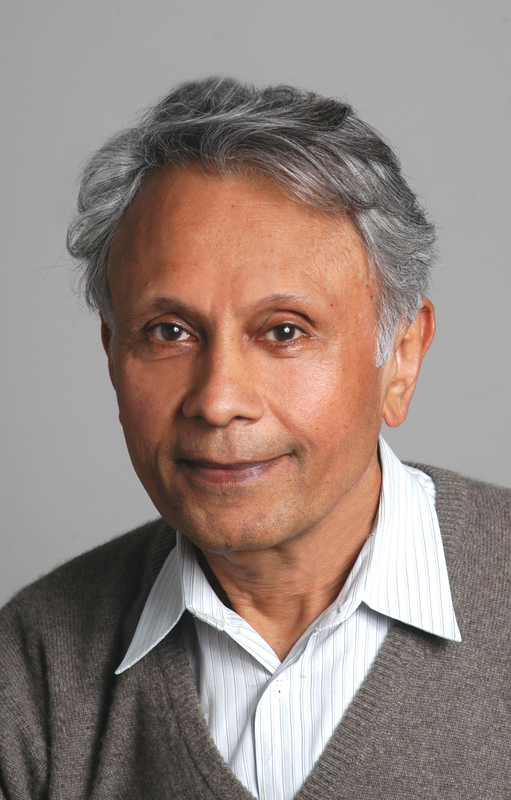 Varaiya has held a Guggenheim Fellowship and a Miller Research Professorship. He received Honorary Doctorates from L'Institut National Polytechnique de Toulouse and L'Institut National Polytechnique de Grenoble, and the Field Medal and Bode Lecture Prize of the IEEE Control Systems Society. He is a Fellow of IEEE, a member of the National Academy of Engineering, and a Fellow of the American Academy of Arts and Sciences. He is on the editorial board of "Discrete Event Dynamical Systems" and "Transportation Research---C". He has co-authored three books and over 300 technical papers. The second edition of High-Performance Communication Networks (with Jean Walrand and Andrea Goldsmith) was published by Morgan-Kaufmann in 2000. Structure and Interpretation of Signals and Systems (with Edward Lee) was published by Addison-Wesley in 2003. M. Malboubi, A. Bahai, M. Ergen, P. Varaiya, and J. Walrand, "Unequal importance image communication over heterogeneous networks," in Proc. 65th IEEE Vehicular Technology Conf. (VTC '07-Spring), Piscataway, NJ: IEEE Press, 2007, pp. 629-633. S. Timofeev, A. Bahai, and P. Varaiya, "Wideband adaptive beamforming system for speech recording," in Proc. 2007 IEEE Intl. Conf. on Acoustics, Speech and Signal Processing (ICASSP '07), Vol. 2, Piscataway, NJ: IEEE Press, 2007, pp. 989-992. A. A. Kurzhanskiy and P. Varaiya, "Ellipsoidal techniques for reachability analysis of discrete-time linear systems," IEEE Trans. Automatic Control, vol. 52, no. 1, pp. 26-38, Jan. 2007. S. C. Ergen and P. Varaiya, "PEDAMACS: Power efficient and delay aware medium access protocol for sensor networks," IEEE Trans. Mobile Computing, vol. 5, no. 7, pp. 920-930, July 2006. R. Jain and P. Varaiya, "Simulation-based uniform value function estimates of Markov decision processes," SIAM J. Control and Optimization, vol. 45, no. 5, pp. 1633-1656, June 2006. J. Shu and P. Varaiya, "Smart pay access control via incentive alignment," IEEE J. Selected Areas in Communications, vol. 24, no. 5, pp. 1051-1060, May 2006. A. B. Kurzhanski and P. Varaiya, "Ellipsoidal techniques for reachability under state constraints," SIAM J. Optimization and Control, vol. 45, no. 4, pp. 1369-1394, April 2006. Z. Jia, R. Gupta, J. Walrand, and P. Varaiya, "Bandwidth guaranteed routing for ad-hoc networks with interference consideration," in Proc. 10th IEEE Symp. on Computers and Communications, Los Alamitos, CA: IEEE Computer Society, 2005, pp. 3-9. M. Ergen and P. Varaiya, "Throughput formulation and WLAN optimization in mixed data rates for IEEE 802.11 DCF mode," in Proc.2004 IEEE Global Telecommunications Conf. Workshops (GLOBECOM '04), Piscataway, NJ: IEEE Press, 2004, pp. 266-269. J. Kwon, B. Dundar, and P. Varaiya, "Hybrid algorithm for indoor positioning using wireless LAN," in Proc. 2004 IEEE 60th Vehicular Technology Conf. (VTC2004-Fall): Wireless Technologies for Global Security, Vol. 7, Piscataway, NJ: IEEE Press, 2004, pp. 4625-4629. M. Ergen, S. Coleri, B. Dundar, R. Jain, A. Puri, and P. Varaiya, "Application of GPS to mobile IP and routing in wireless networks," in Proc. 2002 IEEE 56th Vehicular Technology Conf. (VTC2002-Fall), Vol. 2, Piscataway, NJ: IEEE Press, 2002, pp. 1115-1119. D. Lee, A. Puri, P. Varaiya, R. Sengupta, R. Attias, and S. Tripakis, "A wireless token ring protocol for ad-hoc networks," in Proc. 2002 IEEE Aerospace Conf., Vol. 3, Piscataway, NJ: IEEE Press, 2002, pp. 1219-1228. T. Simsek, P. Varaiya, and J. B. de Sousa, "Communication and control of distributed hybrid systems," in Proc. 2001 American Control Conf., Vol. 6, Piscataway, NJ: IEEE Press, 2001, pp. 4968-4983. R. Horowitz and P. Varaiya, "Control design of an automated highway system (Invited Paper)," Proc. IEEE, vol. 88, no. 7, pp. 913-925, July 2000. A. J. Goldsmith and P. Varaiya, "Capacity of fading channels with channel side information," IEEE Trans. Information Theory, vol. 43, no. 6, pp. 1986-1992, Nov. 1997. H. Chiang, F. F. Wu, and P. Varaiya, "A BCU method for direct analysis of power system transient stability," IEEE Trans. Power Systems, vol. 9, no. 3, pp. 1194-1208, Aug. 1994. P. Varaiya, "Smart cars on smart roads: Problems of control," IEEE Trans. Automatic Control, vol. 38, no. 2, pp. 195-207, Feb. 1993. P. Varaiya, "On the existence of solutions to a differential game," SIAM J. Control, vol. 5, no. 1, pp. 153-162, Feb. 1967.